President Robert Mugabe's increasingly powerful wife Grace has threatened Zimbabwe's vice president with expulsion from the ruling party, throwing a fierce succession battle into the open. "I told the President that if you don't dump that faction leader we will dump her ourselves," Grace Mugabe said on the campaign trail, referring to Vice President and one-time heir Mugabe apparent Joice Mujuru. Mujuru, along with powerful Justice Minister Emmerson Mnangagwa, who in the past controlled secret police and military, are seen as the leading contenders to replace 90-year-old Robert Mugabe when he steps down or dies. But Grace's recent entry into politics, swift rise to power within the ruling ZANU-PF and ferocious attacks on Mujuru have raised the prospect that the vice president's star is waning. It has also raised speculation that her husband could be grooming her to take over when he dies. "We campaigned for you not only last year, but over the years, but now it is war because I have been nominated," said Grace, 49, who is set to become head of ZANU-PF's influential women's league. "I do not think anything good would come out if I mobilise people to go in the streets and dump you," she was quoted as saying by state media on Friday. 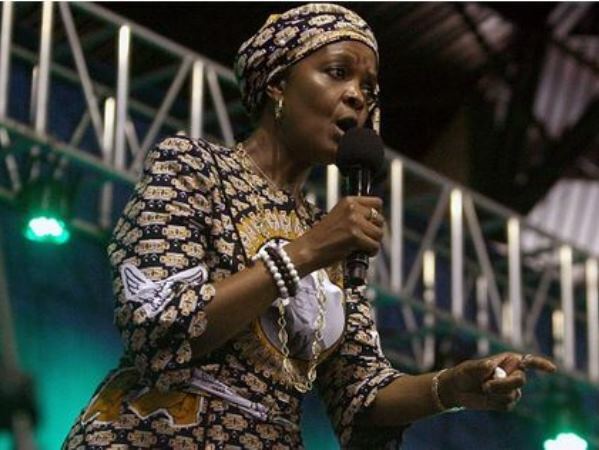 Grace Mugabe accused Mujuru -- the widow of the late liberation war army commander Solomon Mujuru -- of leading a faction vying for power and demanded she apologise. "You cannot continue denying that you lead a faction every day. Wherever you are, go together with your cronies, go and apologise before it is too late because the President is also fed up with these issues," Grace Mugabe said at a rally in Bindura, north east of the capital Harare. Her comments would appear to be an opening gambit in the end game to succeed her husband. ZANU-PF will hold a crunch elective congress in December. Robert Mugabe is expected to be confirmed as the party's leader, but the fight for positions on the powerful politburo could be decisive. Mugabe has been in power since 1980 and has long avoided appointing a successor.